Carbohydrates: Why Are They So Confusing? Carbohydrates seem to be a source of confusion for marathoners and fitness runners alike. Due to the Paleo Diet, Grain Brain, Wheat Belly, and other trendy diet books, many runners don’t know what to eat. They just think they should avoid pasta, bagels, juice, bananas and sugareven if these foods are non-problematic for them. Yet, most of the carbs are evil, fattening & bad for you hype is targeted not to runners but to the masses of overfat, underfit people whose bodies do not handle carbohydrates as healthfully. • Carbohydrates include both sugars and starches. 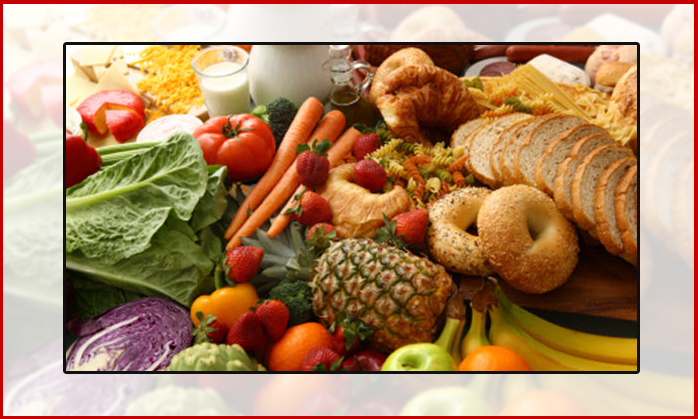 Carbs are in fruits, vegetables, grains, and milk (lactose). These carbs all digest into the simple sugar glucose. Glucose travels in the blood and, with the help of insulin, is taken up for fuel by the muscles. Runners who restrict carbs pay the price“dead legs” and inability to perform at their best. • All carbsboth sugars and starchesare equal sources of muscle fuel. Regardless of whether you eat a starchy potato or sugary candy, the end product is the simple sugar glucose. Some of that glucose feeds your brain; some of it fuels your muscles; and some gets stored in muscles as glycogen, ready to be used for fuel during hard and extended exercise. • Sugars and starches are biochemically similar. For example, an unripe banana (or any fruit) is starchy. As it ripens, it becomes sweeter; the starch converts into sugar. In comparison, peas (and other vegetables) are sweet when young and their sugar converts into starch as they mature. Regarding health, some carbs are better for you than others because they offer more nutrients. For example, the sugar in sport drinks provides "empty calories" with no nutritional value (unless they are fortified to give a healthier appearance). The sugar in orange juice is accompanied with vitamin C, folate, potassium, and many other vitamins, minerals, and plant compounds that contribute to good health. While juice offers slightly less nutritional value than you’d get by eating the whole fruit, most anti-juice hype is targeted at overfat people. Liquid calories from juice, soda and sports drinks do not contribute to satiety (fullness). Hence, drinking sugary beverages with meals adds extra calories that can contribute to undesired weight gain. Yet, for active people who want to gain weight, juice can help a skinny runner easily boost calorie intake while simultaneously adding carbs for fuel that enhances muscle-building workouts. What about high fructose corn syrup? High fructose corn syrup (HFCS), also deemed evil and fattening, is less evil and less fattening than portrayed by the media (1). (Ninety percent of 567 media reports on HFCS since 2004 replaced science with opinion and were biased to the erroneous (2).) HFCS is a double molecule comprised of 45% glucose, 55% fructosethe same as honey and similar to white sugar (50% glucose, 50% fructose). The negative hype about HFCS applies primarily to overweight folks who consume excessive calories of sweets, soda, candies and processed foods sweetened with HFCS. While no one needs excessive, lack-luster calories that could be better spent on nutrient-rich fruits, veggie and whole grains, does an athlete really need to fret about a few calories of HFCS in ketchup? Despite popular belief, carbohydrates are not inherently fattening. Excess calories are fattening. Excess calories of carbs (bread, bagels, pasta) are actually less fattening than are excess calories of fat (butter, salad oil, cheese). That’s because storing excess calories of sugar as body fat requires more energy than does storing excess calories of dietary fat as body fat. This means, if you are destined to be gluttonous and want to suffer the least weight gain, indulge in (high carb) frozen yogurt instead of (high fat) ice cream! What about sugar “highs” and “lows”? The most common reason for “sugar crashes” (hypoglycemia) among runners relates to running out of fuel. The shakiness and sweats are because the athlete did not eat enough carbs to maintain normal blood glucose levels and the brain is now demanding sugar. One marathoner thought the 100-calorie gel he took at mile 16 caused him to “crash.” More likely, he needed 200 to 300 calories to meet his energy needs, not just 100 calories. If you have intestinal distress relating to wheat, gels, onions, milk or any of a multitude of fruits, veggies and grains, your best bet is to figure out how much (if any) you can tolerate. The dose might be the poison. If you need to eliminate wheat due to celiac disease or gluten intolerance, you might have trouble getting enough carbs to fuel your muscles. That is, you’d need to eat 3 cups of blueberries to replace one bagel. Not only is that expensive, but also puts you at high risk for undesired pit stops. Consulting with a registered dietitian (RD) can be a smart idea! The referral network at SCANdpg.org can help you find a local sports RD who can address your food concerns and take the confusion out of carbohydrates. Boston-area sports nutritionist Nancy Clark, MS, RD counsels both casual and competitive athletes at her office in Newton, MA (617-795-1875). Her best selling Sports Nutrition Guidebook is available at www.nancyclarkrd.com, along with her food guides for cyclists, runners, and soccer players. For online education, see www.sportsnutritionworkshop.com.